If you're a Realtor, you know how crucial social media can be to establishing and building your brand. But have you been including LinkedIn in your social media marketing strategy? If not, you may want to start today! 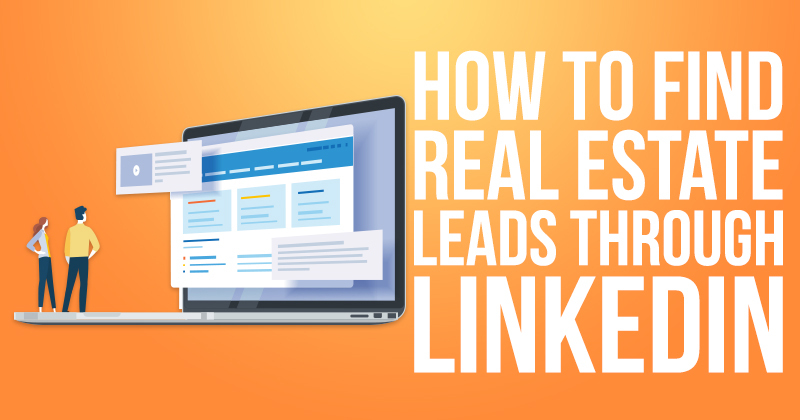 LinkedIn includes some of the best leads Realtors can target. While a lot less people are active on the platform than on Facebook, 77 percent of users are 30 years old or older and make household choices. In fact, studies show 90 percent of users on LinkedIn make household choices. According to the NAR®, the median age of first-time buyers is 32 years, and the typical homeowner is 55 years old. Even though only 29 percent of people use the platform weekly, that 29 percent is likely to be made up of people who will be interested in your services. LinkedIn can also introduce you to qualified contractors and other professionals who can send you referrals. Construction companies, home builders, job recruiters who hire out-of-towners, and divorce lawyers are all heavy users of the platform. These people are looking for business partners who can also refer people to them. Essentially, if you pat their backs, they might just do the same for you. So how do you get in touch with these leads and potential referral partners? Join real estate groups and real estate referral groups on LinkedIn. 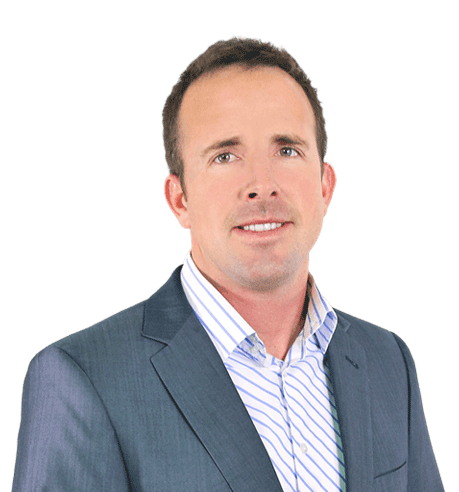 LinkedIn has incredibly valuable groups that every agent on the platform should join. Here are a few of the best ones. When you join, be sociable and reach out to a few people from the group. This is the best referral group on LinkedIn you could join. The main goal of the group is to connect agents throughout the country that live in different cities. There are also vendors in the group that you can find in your city. But don’t post your listings, sales pitches or local information in the group. You'll be flagged for spam and likely kicked out. Let the other agents know the area you work in and where you’re from. Group members may be looking to refer their listing clients to a buyer's agent in your area. This is a group for sharing information, asking and answering questions, and forming connections. This group is full of people sharing knowledge and updates about the market and everything else related to real estate. Anything shared should be relevant to agents nationwide and not just your general market area. It’s a great group to follow to stay up to date in the world of real estate. Just like the first group I mentioned, don’t post any listings or promotional material in here, or you’ll get kicked out. Being a successful listing agent requires you to successfully market yourself and constantly find leads. While this group isn’t real estate specific, a lot of the information shared here could improve your marketing efforts. However, there are a lot of members who are Realtors who share statistics and trends in online marketing. You'll find plenty of other relevant information in this group, as well. Trends in direct mail, email newsletters, paid ads and SEO all can be used to garner you more attention and eventually pull in more listings. The group also has a promotions section where you can promote yourself and gain feedback on some of your online marketing strategies and materials. Optimize your personal page and keep it up to date. This is where you show off your real estate expertise. It doesn’t have to just be a formal resume of your accomplishments. Add some personal information, as well, just like you would on your website. Add some of your best testimonials — but keep them short. Many people browsing won’t click the “read more” button, so keep it shorter than that. Your headline, which is less than 100 characters, is extremely important here. It should include your job title and a few words on what you specialize in. Make your profile a custom URL. There’s an option to the right of the banner on your profile to do this. If you don’t, you’ll have a long drawn out string of characters for your profile’s URL. Make a custom one to stand out and improve your credibility. Use your name or your company’s name in it. When someone views your profile, you’ll immediately look more established by having a URL that mentions your name or your company’s name. Reach out for skill endorsements and recommendations. When you list your skills, people can endorse them to give you more clout. Reach out to your colleagues and past clients for these endorsements. Also, ask for recommendations from past clients — there’s a section for this, as well. Add local content or repost it from other sources. Keep your profile active by posting relevant content that doesn't necessarily have to do with real estate. It can be something you created or shared from another source. Keep it local if you can, or keep it relevant to the connections you've made. This is a good way to ensure no one unfollows you for flooding them with strictly real estate content. You should send 10 or so connections a day. Use the “suggested connections” feature. Once you’re connected, users will be subscribed to your feed and you’ll have the ability to message them. You can use the “advanced search” feature to connect with locals who could be good referral partners or even potential clients. Just reach out to them and tell them you’re looking to connect with locals in the housing market or you’re looking for referral partners. Offer to answer any questions they may have. Ask them questions about their businesses and backgrounds, as well. Then, you can sort your connections according to the types of potential clients or resources they might be. Reach out to anyone who looked at your profile. LinkedIn sends you a notification the day after people look at your page. Anyone that finds you organically is a potential lead. You can also go to “who viewed my profile” in the menu bar. Reach out to each person and ask if they have any questions, while explaining who you are. If you want to view the full list, you need to upgrade to premium. However, you can still view recent visitors if you don't have a premium account. Smart Agent members can offer their books on LinkedIn. Imagine doing all of these things to promote yourself but also being able to present your own real estate book or books with your face on the cover to your connections. While you can take actions to stand out on LinkedIn without being a published author, the books can cement your expertise on a completely different level. Learn more about our MyBooks program here, and get a free sample of our most popular book below! Authority is for any business owner or professional with a desire to become an influential authority in their local market.